At less than 13” in length the DMR II/HDMR II offers more performance than any scope in its class. 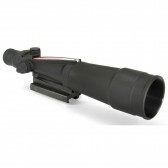 This scope provides long-range precision without sacrificing short-range capability. 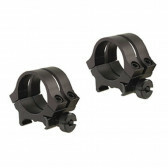 QUAD LOCK DETACHABLE RINGS - MATTE, MEDIUM, 1"